EXCLUSIVE AT NET-A-PORTER.COM. 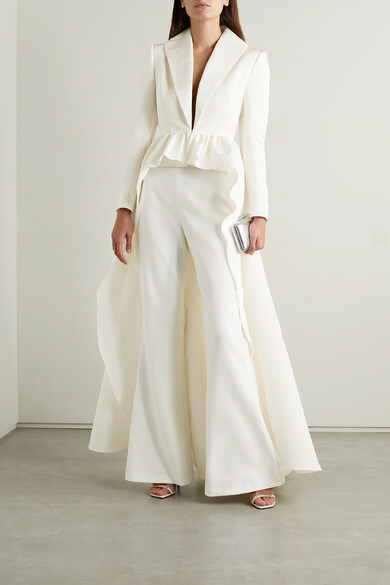 Brandon Maxwell's glamorous eye is perfectly suited to bridalwear - this striking silk-faille jacket is part of an exclusive capsule the designer has created just for us. 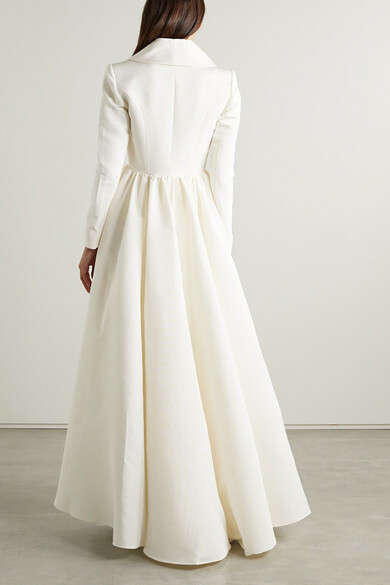 With a sweeping train made for dramatic entrances, this piece has a plunging front, rolled lapels and an exaggerated peplum hem. Wear yours with the matching pants for your big day.